If your kids don’t like just plain steamed broccoli, try one of these really yummy 10 Kid-Friendly Broccoli Recipes. Broccoli is a power packed vegetable that can also have a powerful taste to kids. We have found that when we serve veggies different ways, it brings out different flavors and textures and kids will try a veggie they may not have ever wanted to eat. 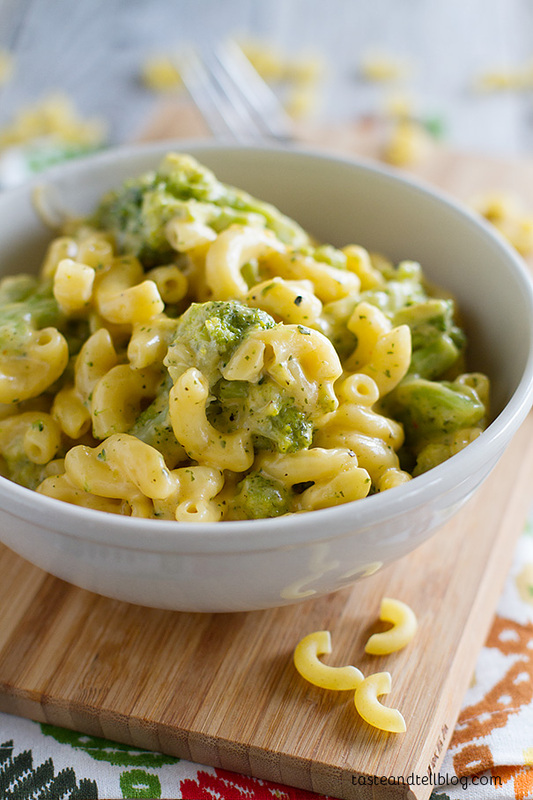 We have 10 super yummy recipes that broccoli is the star of. Give them a try and see how your kids like to eat broccoli the best! 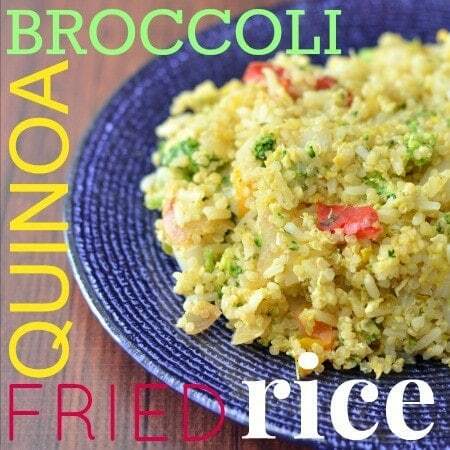 This recipe brings the familiarity of rice but adds quinoa and broccoli. Yum! Kids love pasta and pesto is a great way to introduce a veggie to kids. This pesto is savory and can help your kids eat broccoli if they have texture issues. Potatoes, cheese and broccoli were meant to be together! These have a yummy sauce and make a great main dish to any dinner. This soup is really creamy, but also has some great texture from the corn. 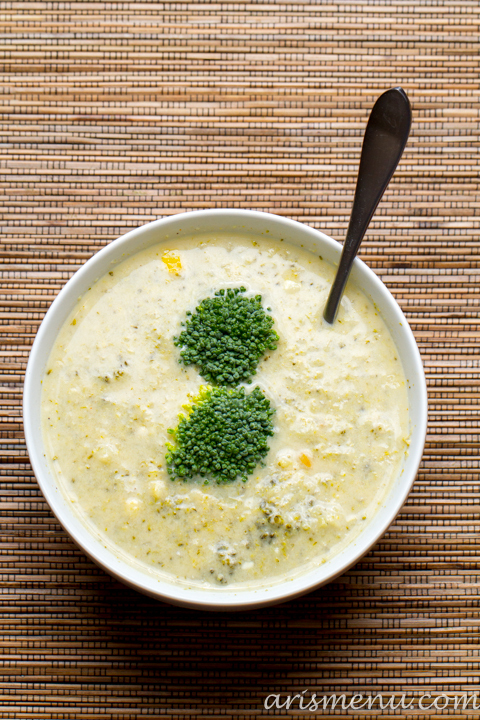 Definitely not your typical broccoli cheese soup! Savory muffins can be incredibly delicious not only for breakfast, but also an afternoon snack. 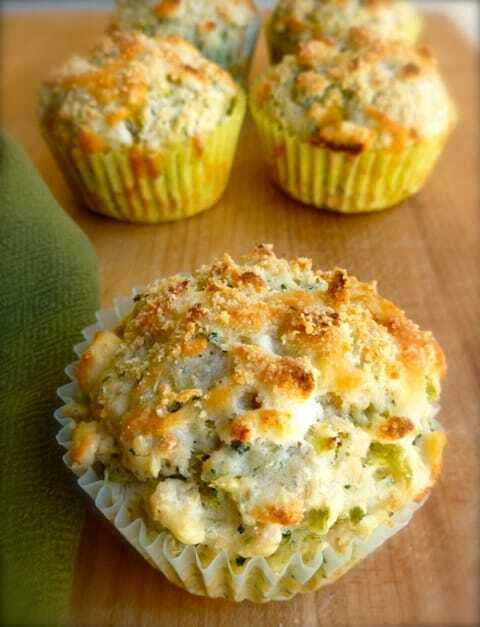 Filled with broccoli and cheese, these muffins are a must try! This dish is fresh and sweet with a little zing from the citrus. Simple to make and absolutely delicious. Almost like a pancake, but with a savory flare. Fresh, crunchy and a new way to get your kids to try broccoli. 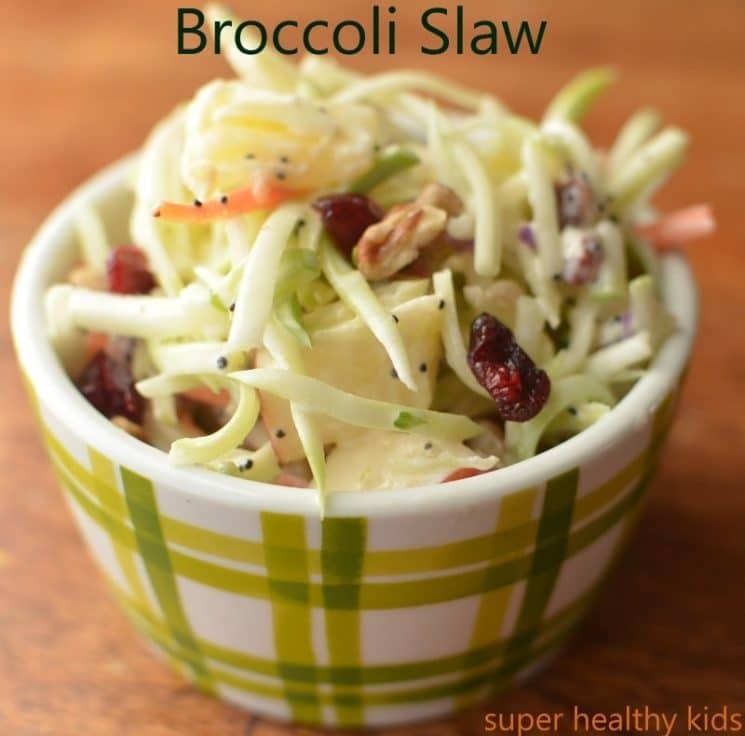 Sometimes if it look different, they will try it – and broccoli slaw definitely has a new look than regular florets! I’m not sure there is a dish that says kids more than good old mac and cheese! 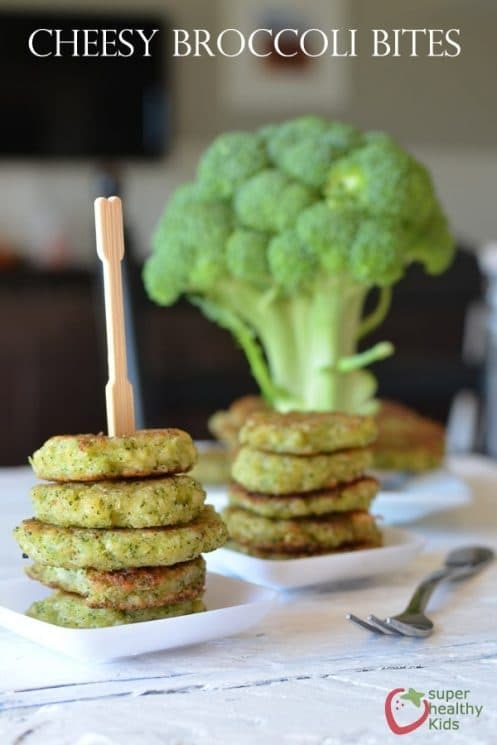 Made from scratch and topped off with a delicious Tuscan flavored broccoli, this meal is definitely a must try! 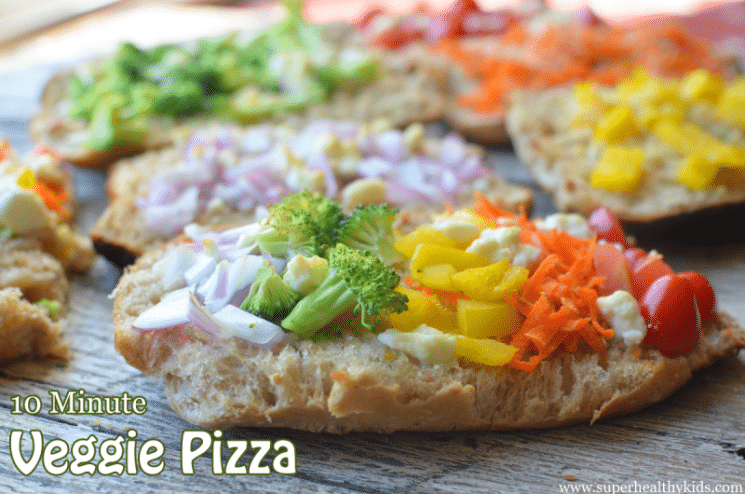 Adding veggies to a pizza makes it colorful and packed with flavor! Try roasting your broccoli before adding it to your pizza. This pizza is simple but your kids will love helping assemble it! 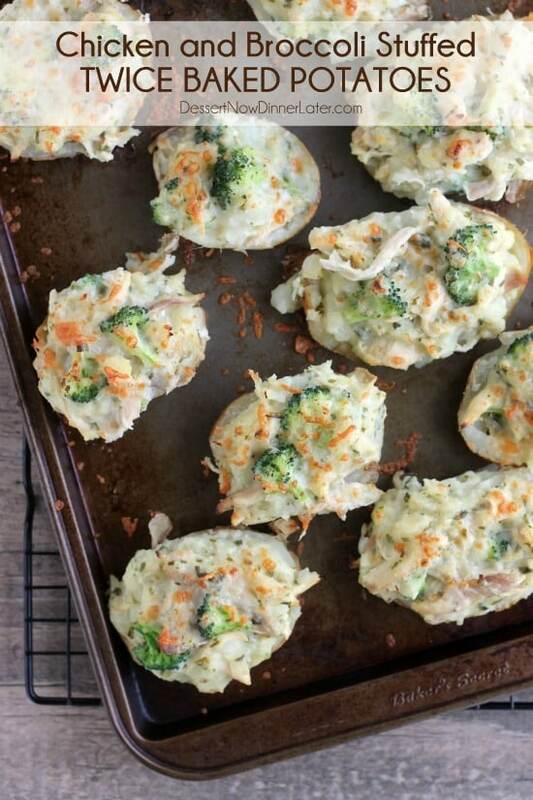 Thank you so much for including my Chicken and Broccoli Stuffed Twice Baked Potatoes! My almost-4-year old daughter just started eating broccoli! I hadn’t made it in forever, and when I did I used to just steam it and serve it plain – and let everyone salt and butter to their liking. Never went over well with her. However, since she has always loved breadsticks with garlic and parmesan seasoning (and my husband and I do too! ), I decided to choose our broccoli like this: saute fresh or frozen (thawed) broccoli in butter, add a smidge of crushed garlic paste (Trader Joe’s brand) at the end of cooking, toss to coat, and then let her sprinkle her own parmesan on top. It is so yummy that she, my husband, and I can finish a pound of broccoli in one sitting. She was sad one night that we had company over for dinner and there wasn’t enough for her to have seconds?! This is a delicious way to prepare and eat green beans too! Lovely broccoli recipes. I made the broccoli bites and they came out nice. While I was going through the search results, I saw that all your recipes have been copied by this other website and felt like it’s a blatant copy. Here’s the link for reference. Thought you would like to know about it.